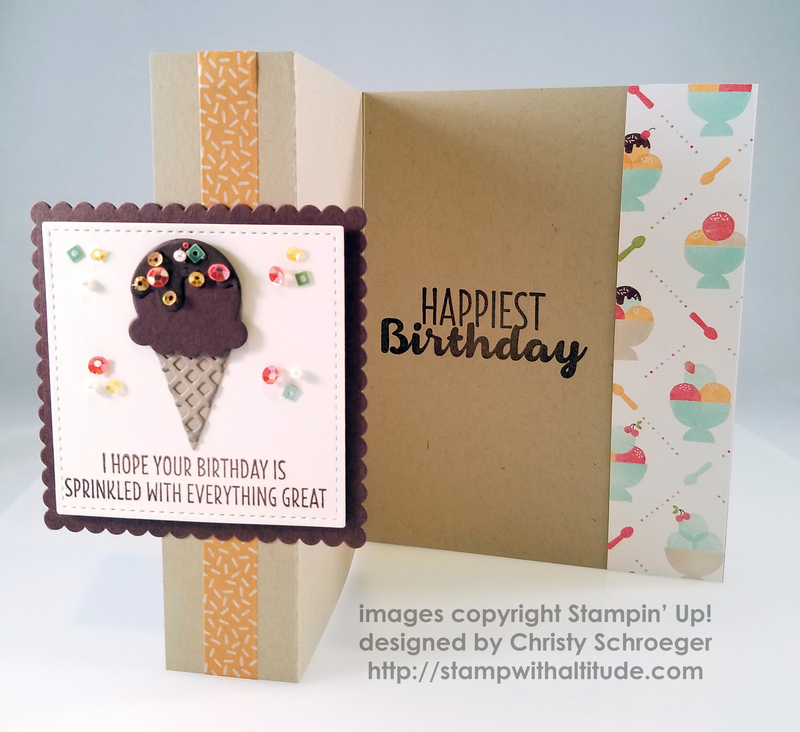 birthday card | Stampers With Altitude!!! Don’t worry, I am not skipping #7! I wanted to post #8 first because…. well… it’s a birthday card. And…. today is my birthday! I can’t believe I have made it this far! LOL!!! Anyway, challenge #8 was about doing a fancy folded card. So…. I did a little running around different sites, looking for something I haven’t done before. I found the Z-fold card. I can’t believe I have NEVER done it before! You will probably see this fold again soon. Not too soon… but soon! LOL Click on the thumbnail of the inside of the card to see it enlarged. It’s not hard at all…. take a regular card, 8 1/2 x 5 1/2 and fold it in half. Then, fold back (I scored, of course) 1 1/4 inches. Decorate! Well…. What do you think of that?? I would love to see what you come up with!! Post a link to your card design (could be posted on your blog or pinterest or wherever….) in the comment section below! I will put your name into a hat and draw one winner! The winner will get a hand-stamped card from me and a gift! OOOOOOooooooo! Rules: Card must have the Z-fold and use a current stamp set! Ok. I have to pat myself on the back for this one. Ever make a card and think, “Oh my word! That’s stunning? ?” I have times where that happens. Other times I think, “Eh, not bad. It needs something.” And still, other times I think, “yikes!” Others might like it but there is something really missing! This card, though. Perfect! Yeah, I said it, “perfect!” Could I have added more embellishments? Of course, but… I wanted this card to be simple and stunning. Yes, this hits the mark! *pat, pat, pat on the back* So, if you haven’t guessed, this challenge was about watercoloring. I knew what I was going to do before I did. I was thinking about the new Lift Me Up stamp set with the hot air balloon….. but….. I am a butterfly girl! 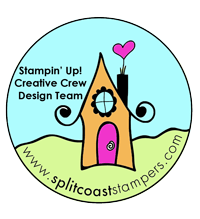 I wasn’t always but thanks to a trip that I took, thanks to Stampin’ Up!, I became one. I haven’t stopped since. I may still do a hot air balloon…. I started with the watercolor pencils and the aqua painters. It just wasn’t bold enough for me. So, I moved to ink. I did it right on top of the watercolor pencils. WOW’ser! See, I told you that I moved away from that color combination. This one I got from the Annual catalog. I meant to get it out of the Occasions Catalog. There is a card in the catalog that I really liked. I mistook one of the colors. I thought it was Mint Macaron. It was Soft Sky. So, I dug through the Annual catalog and found the Blooms & Bliss. I pulled this color combination from that paper pack. Whisper White, Mint Macaron, Island Indigo and Blushing Bride. Now, this card has a special surprise inside. You will see the picture later but I really liked the way this one turned out. Notice the bow? It’s the Sale-a-bration ribbon! It’s attached to a mini paper clip that keeps the card closed. Why would we need to keep the card closed? I am glad you asked that question! See the picture below! I scored the center of the cut out image (the star blast as I like to call it). I added 2 score lines on either stem of the cut out; folding them in opposite direction. The stems are folded valley and the star blast folded mountain.